Bali is famous for its beaches and vacation appeal. In fact, when Indonesia comes to mind, most people only envision Bali, where a fascinating lifestyle and beautiful scenery can be found on their doorstep. Rice paddies cascading down rolling hills, crystal clear water licking at white sands, an array of exotic fish, volcanoes piercing the clouds, and landscapes dotted with temple ruins, are all things you will get to experience while living on this tropical island. Nightlife in Bali starts late, which means around midnight. Many visitors wonder where crowds of expats suddenly come from around 1:00 in the morning – even when all of Kuta has been very quiet during the whole evening, the IN-places often become crowded after midnight. There’s a simple explanation: during the early evenings many of Bali’s night owls either still work, visit friends at home, or simply sleep. Most of them visit pubs, bars, or discos only in the early morning hours. Therefore, if you plan a night out don’t start your dinner too early. We could recommend you some clubs around central area those are the best to fulfill your hype. 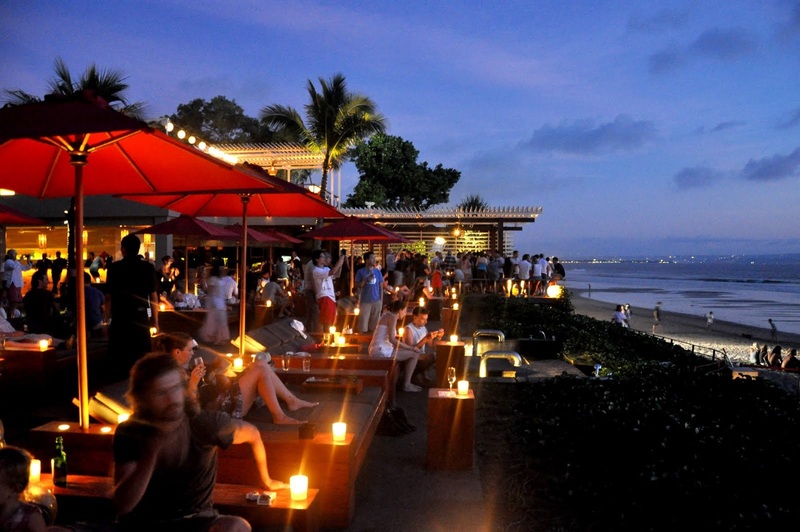 Ku De Ta is a beach club, restaurant and bar all-in-one and embodies “the-good-life” image of Bali. Already for years Ku De Ta is a must go to place for tourists of all ages. Whether you come alone, with your girlfriend or the whole family, a visit to Ku De Ta will be one of the highlights of your holiday. The most enjoyable visit to Ku De Ta will start around 17:00 on one of the beach-front sun beds or in one of the Bale’s, just in time to catch the sunset while sipping on a cocktail and enjoying the romantic atmosphere. After the sun has set and you’re getting hungry Ku De Ta offers many you many options. You can grab some sushi while staying on your sun beds or you can move to the dinning room, Pergola, Sexion 9 or enjoy a poolside dinner. Nowadays there are more and more upscale beach clubs like Ku De Ta but somehow Ku De Ta stays on top as ultimate experience. Joining an elite coterie of upscale lifestyle and dining venues on the Indian Ocean beachfront of Bali’s stylish Seminyak neighborhood, Potato Head Beach Club launched in December 2010 with an alluring concept that melds a daytime beach club with chic dining and sophisticated nightlife. Drawing on the success of the original, and perennially popular, Potato Head Restaurant and Bar in downtown Jakarta, the founding partners- Ronald Akili and Jason Gunawan- expanded their horizons to develop a new world-class venue on the famed tourist island of Bali. Occupying a large site on the prestigious stretch of Seminyak beachfront, Potato Head Beach Club offers guests a truly memorable experience- commencing with its stunning visual impact, and transitioning through a wonderful melange of sophisticated (yet laid back) dining experiences, sumptuous artisanal cocktails, and vibrant nightlife. 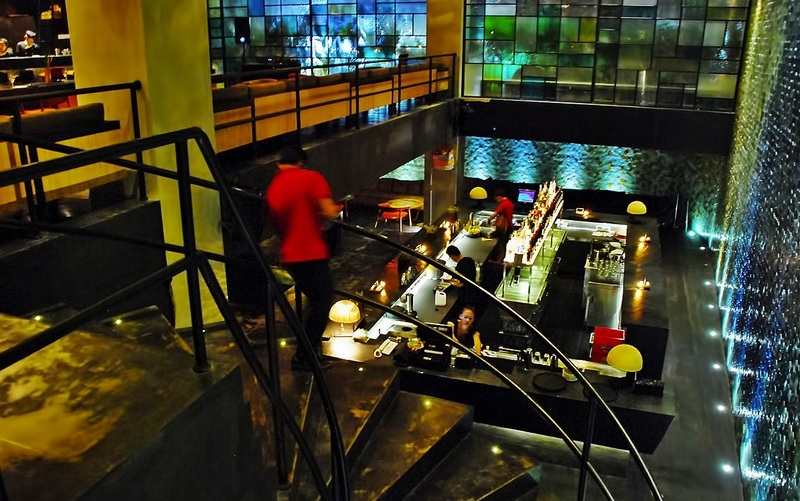 Jenja Bar and restaurant has a very different scene to the other clubs and bars in Seminyak. Beautifully done, Jenja is in the basement of Town Square Suites, the big new hotel complex in Jalan Nakula in Seminyak. There is a big underground car park from where you can feel the music pulsing through the cement, plus some street parking for bikes plus valet is parking available as well. Architecturally- and design-wise Jenja is gorgeous, and has set a new standard for Bali nightclubs. La Favela is a restaurant serving International and Peruvian menus. I heard from the waitress that the head chef, Chef Marco, is a Peruvian. 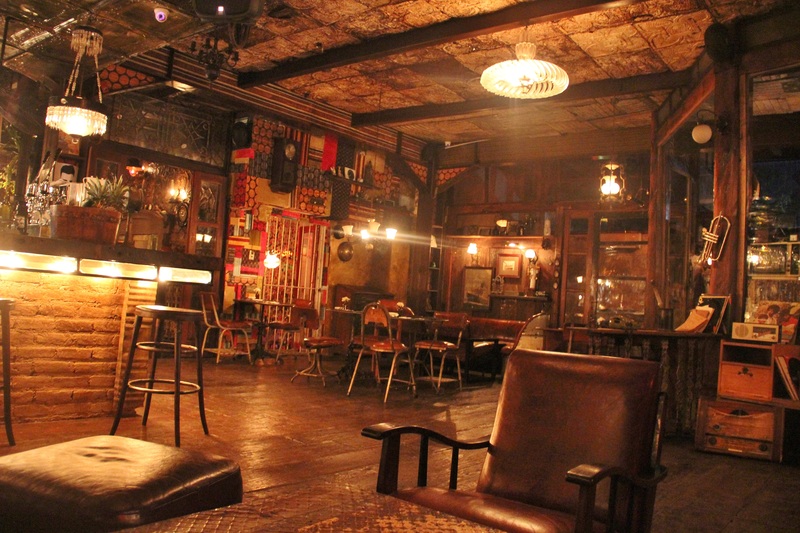 The interior is vintage to say the least with numerous funky elements as decorations. When I strolled a bit further into the outdoor area, I was surprised with the romantic ambience it was emitting. It is a perfect romantic escapade for couples or for close friends to hang out. The team behinds La Favela have worked tirelessly sourcing antiques, artifacts and curiosities for their Brazilian inspired ‘favela’ restaurant and bar. No detail has been left unthought of, from the old TV sets to the miss matched wooden furniture. Sitting in one of the favela dining rooms, you are transported to the living quarters of Rio while in the heart of Bali’s party town. Not one to miss for the design lover! 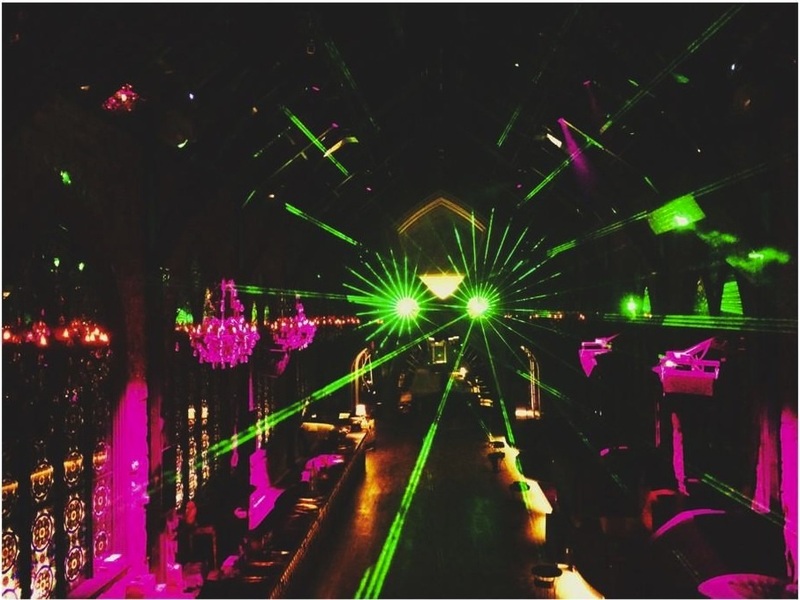 Mirror Lounge and Bar at Petitenget opened 30th Oct 2014 and is a stunning addition to the Petitenget nightlife options. Stunning, huge, this raises the bar, again. The small, quiet and intimate lounge out the front where there is a huge selection of cakes and yummy sweet things is cool on its own, and then there is the massive Gothic club space behind. Mirror Petitenget nightclub is very much like some of the big Jakarta clubs. 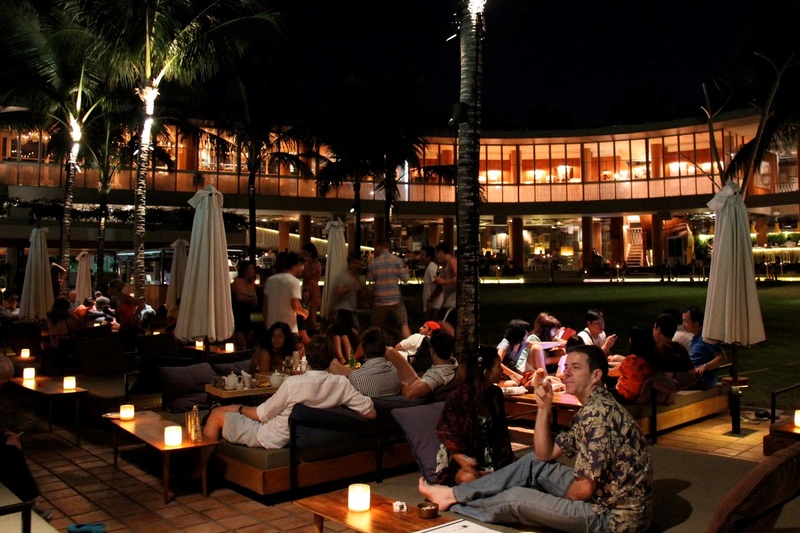 It sets a new standard in clubbing in Bali, and also a new standard in pricing. 200k for guys to get in including one mixed drink with women getting free entry. Then mixed drinks are 150k with beer 75k, so it is easy to spend a lot of money fast here. It is a stunning environment and you would happily want to pay for that. 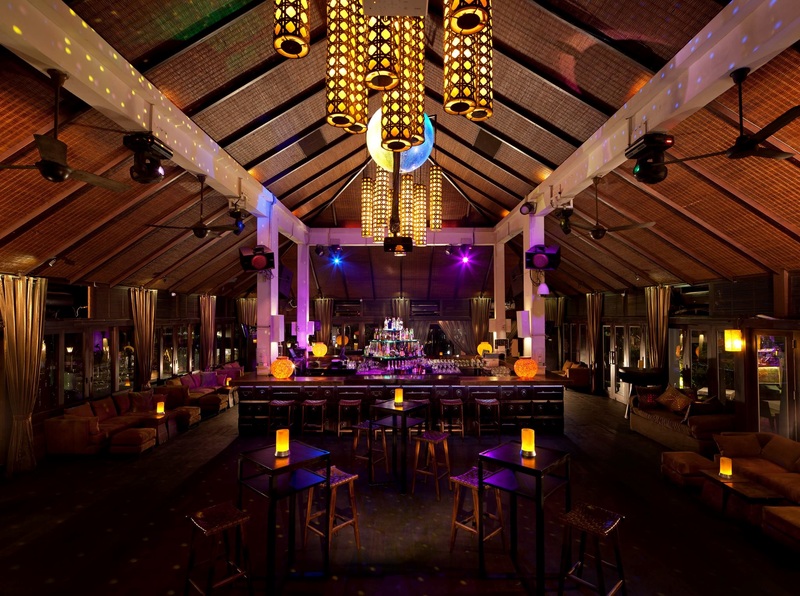 One of the trendsetting nightlife venues in Bali’s upscale Seminyak district, Hu’u Bar first launched back in 2001, and continues to operate under the same ownership. A prominent corner location on the popular on Petitenget stretch of Seminyak provides Hu’u Bar a high profile presence among the many restaurants and bars in the area. As part of a larger “lifestyle” complex that includes luxury villas and an adjacent restaurant and lounge- recently re-launched as BABA’S Restaurant- Hu’u Bar occupies a large pavilion at the street frontage- a timber construction designed in traditional Balinese style with high-pitched roofline providing a sense of comfortable spaciousness. Hu’u Bar attracts a glamorous and chic crowd- an attractive and eclectic mixture of locals, resident expats and visitors- and has been a fixture on the nightlife circuit of Bali ever since it first opened more than 12 years ago. Renowned for attracting celebrities and hosting many famous international DJs and musicians, Hu’u Bar combines a stylish interior that exudes an under-stated sophistication, with a high quality bar service, and an impressive sound system, to provide a totally immersive club experience. Regular parties and special events ensure the bar remains vibrant and relevant to regular patrons – with international DJs frequently headlining the music program.